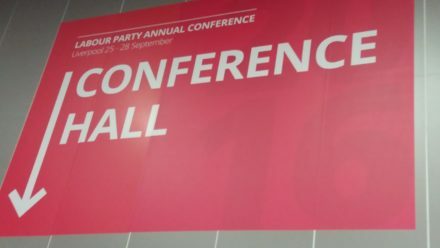 Labour members will be given more time to speak on the main stage at party conference this month with some shadow cabinet ministers set to see their slots downgraded. Sources confirmed today that there is a desire from the party leadership to open up the floor to the vast membership, in moves to further democratise the party. This will have an impact on the amount of time allocated for key political figures, such as mayors Sadiq Khan, Andy Burnham and Steve Rotheram, as well as key ministers such as shadow defence secretary Nia Griffith, the Huffington Post reported today. It was reported last month that Burnham and Khan could be excluded from the main conference line up. Whilst more than the initially rumoured “fab five” of Jeremy Corbyn, John McDonnell, Emily Thornberry, Diane Abbott and Keir Starmer will address the floor, the priority for the Labour leadership is to listen to members voices, although critics have suggested it is a way of excluding other top Labour figures. Some members have expressed concern that conference should not be dominated by voices of MPs who all represent London constituencies. Final details for the conference have yet to be confirmed, with the conference arrangements committee yet to meet. The conference is expected to be well attended, with many CLPs sending many more delegates than usual to the event next month in Brighton.